Sonic Seducer Ausgabe 10/2015 in der auf 499 Exemplare limitierten Edition mit exklusiver Picture-Vinyl-Single von Editors, einer CD von Editors im Digifile (andere Tracklist) & eine weitere CD. B) Marching Order (Michael Price Rework) - exklusiv! + CD-Compilation "Cold Hands Seduction Vol. 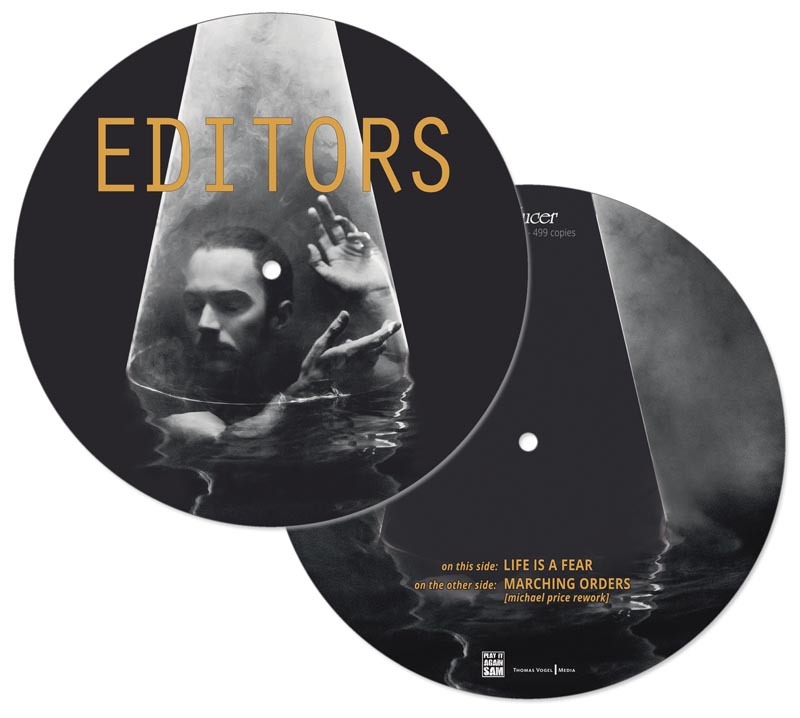 170"
Die Exklusiv-CD /-Picture Vinyl von Editors ist ausschließlich in Verbindung mit der Oktober-Ausgabe von Sonic Seducer erhältlich! 1919, a-ha, Blackmore s Night, Chemical Sweet Kid, Children Of Bodom, Chvrches, Crysalla, Crystal Crow, Cultus Ferox, Cyferdyne, Diary Of Dreams, Dystopian Society, Eden Synthetic Corps, Editors, Eisbrecher, Elvellon, Exilia, Garbage, Graveyard, Gunman & The Holy Ghost, Haujobb, HIM, Hurts, Pedro Lehmann, Letzte Instanz, Me.Man.Machine, Metric, Monster Magnet, Mr. Kitty, My Dying Bride, Nervenbeisser, New Order, New Years Day, Peaches, Rammstein, Rave The Reqviem, Sariola, Solar Fake, Songs Of Lemuria, Still Patient?